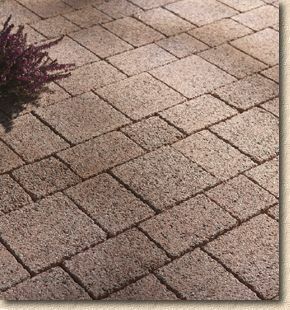 Formpave have launched a whole new range of paving inspired by the natural granites of Royal Deeside in Scotland. As mentioned in the Civils 2004 review, the actual launch took place a short while back, but images have been hard to obtain until now. Katherine Robinson, director at Formpave, reports that the colours and textures of Deeside have been captured in the whole range of cobbles, setts and pavers by using a special blend of crushed granite along with gritstone, and that the finished product has a distinctive suface sparkle as that seen in natural granites from the region. They're producing the range in three naturalistic colour blends which are bound to be popular with Architects, Developers and Designers for use on high-end applications, as well as attracting interest from other projects looking for something different, yet classy and stylish. The distinctive reddish colouring Braemar (opposite) is immediately recognisable as 100% Scotland, with the red base colour enhanced with flecks of black and ivory granite, while the Balmoral has traditional black granite styling with white flecks. Completing the range, Victoria is a brindled buffy-yellow granite effect that will attract a lot of attention in southern Britain. As with all their paving, the new Formpave Deeside products have excellent slip-resistance and the wide range of sizes available allow all sorts of layouts and patterns to be created. 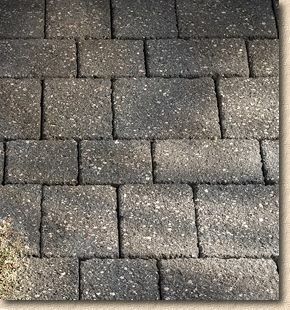 Coursework is the standard laying pattern, and never fails to look less than stunning, but the flexibility of thee new pavers should encourage designers to push the boat out a bit and try something more exotic, such as the traditional Bogens (fan patterns) used with granite setts throughout continental Europe. 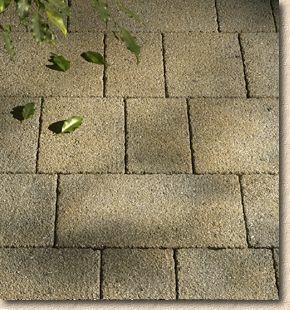 The big advantage, of course, is that these new pavers offer a significant cost-saving compared to cropped and dressed granite setts, as well as being much simpler to lay. Whereas granite setts required a highly skilled streetmason to lay them properly and get the best from them, the Deeside range of pavers are laid in exactly the same way as other Block Pavers, and so labour costs are reduced and daily coverage rate is increased. The pavers are manufactured to order, but Katherine would be delighted to arrange for samples if you have any suitable projects in mind. You can get more information from the Formpave HQ in Gloucestershire by calling 01594 836999 or taking a peek at their website.